[spacer height=”5px”]TruckClaws™ : Designed for use on heavy commercial vehicles ranging from a Utility Truck up to a Semi. 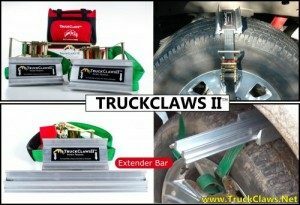 Truck Claws are simple to use yet very effective traction aids for trucks of all sizes. Proven to effectively move loads up to 80,000 lbs through muddy roads and snow covered fields with just one traction cleat on each side of the vehicle. Learn more below! 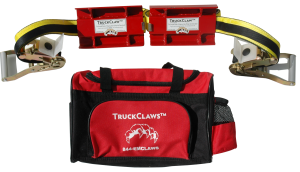 TruckClaws™ II : Designed for Light/Medium Pickup Trucks, SUVs and RV’s. This version also comes with 2 cleats but also features an extender bar option. If the traction cleats alone won’t get you out of your jam, simply slide in a set of extender bars to increase your traction surface up to 8” beyond the width of your tire. As a commercial driver you know the challenges that muddy icey and snow covered roads can present. Time wasted getting your truck unstuck means less time on the road, lost revenue and potential damage to your reputation is you have to be late for appointments or deliveries. Installation is easy! It only takes about 1 minute to install each traction cleat. 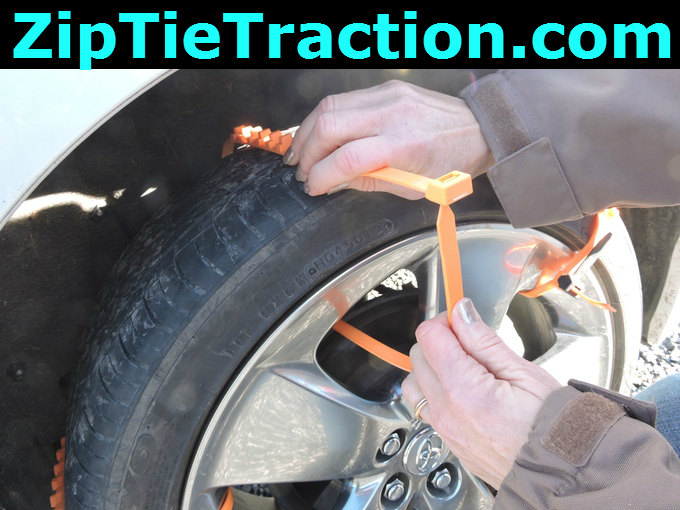 Simply place the cleat across the tire, feed the strap through a hole in the rim and back into the ratched. Tighten the strap and your ready to go. 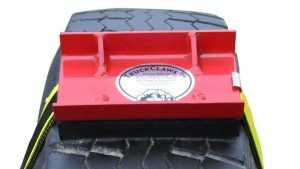 The truck claw will help you overcome any slick on-road or off-road surface. To start using our truck claws to get ensure you never get stuck and have to pay expensive tow truck fees or lose valuable time give us a call or buy online now. The Truck Claw is the future of saving lives, structures and allowing deliveries to be made on time. Truck Claws were created after realizing the demand from several representatives in the trucking industry. 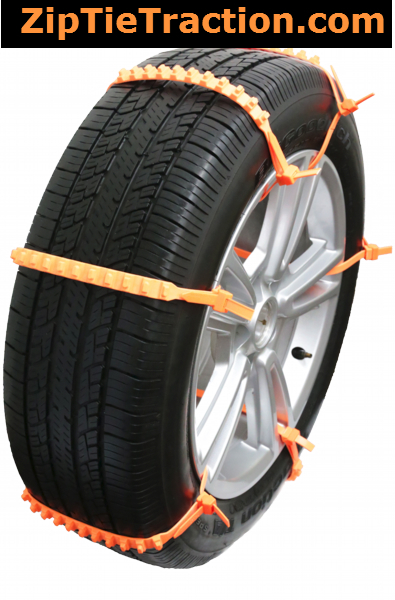 They wanted a better solution vs the standard tire chains and other products that are a hassle to install and store. That being said the Truck Claw was created with chains in mind as they are designed to be used in conjunction with chains if needed. Truck Claws are a revolutionary aid for large trucks that carry heavy loads. In the testing phase, Truck Claws enabled a boom truck that was loaded with 80,000 pounds of bricks to drive out of mud that was as deep as the axles. 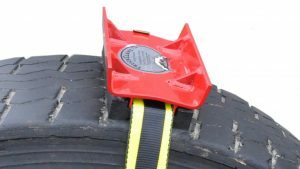 Installing one claw on the right and left drive tires is recommended in most situations in which trucks are loaded with 40,000 pounds or less. For truck drivers hauling loads weighing more than 40,000 pounds, two claws on both the right and left drive tires is recommended.